Pictured above is one of the breakfasts I had regularly while I lost 140 pounds. Its only 200 calories. It tastes great, made up of my favorite foods, keeps me going all morning, and at 1/8th of the breakfast pictured below, had me shedding pounds like crazy. Now, to maintain my loss, I eat more than the 200 calorie breakfast above, but still only a fraction of the American norm that is making people obese and sick. This above is Denny’s Meat Lovers’ Omelette at a whopping 1730 calories. That’s the kind of thing I used to pick that made me over 300 pounds. Think about that. 200 calories versus 1730. No wonder we have an obesity epidemic. To lose weight, you need to learn how to eat what you like, not go on a diet. For years I have resisted giving my clients food plans or telling them what to eat. Instead, I teach them how to succeed. I know how to help people be successful at weight loss, and its almost always contrary to what they think should be done. They think they need to follow some diet and exercise plan that some personal trainer or dietician will prescribe. Nope. They need to train in methods of behavioral science. I can guarantee that my client will lose weight if they follow me. Clients who have trained in my method and people who have read my book know that the secret to success is learning how to eat what you like and learning the behavioral techniques that change the way you think and act habitually. Success does not come from diets and exercise plans that you know will come to an end when you want to live normally again. To learn what I teach, read my book or listen to my audiobook, pictured at the upper right. Posted in One Breakfast Here Will Make You Lose Weight. The Other Will Make You Fat. Which One Is For You? "I took off 25 pounds in 3.5 months, and it has stayed off! Finding out how well I could do for myself was a great gift. 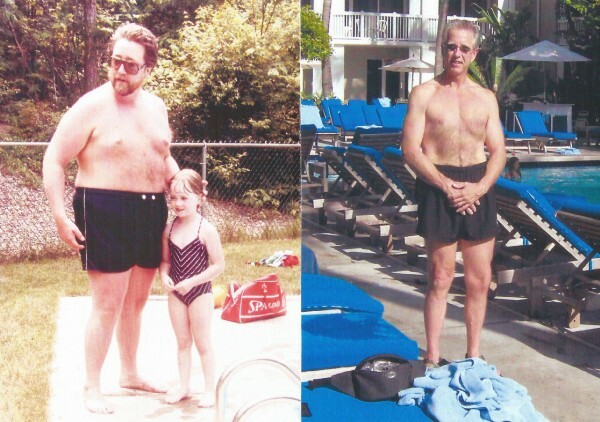 I lost and maintained my weight without emotional pain or sense of dissatisfaction."